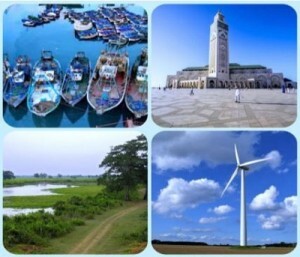 The CPMR, its Intermediterranean Commission (IMC) and PLATFORMA are inviting representatives from local or regional authorities (LRAs) in the Mediterranean to take part in a training session on ‘public service delivery with a territorial integrated approach in the Mediterranean’, with a specific focus on Tunisia and Morocco. The training, based on a manual developed in collaboration with the expert Mr Federico Martire, is taking place in the delegation of the Region Occitania in Casablanca (Morocco), on 11/12 April 2018. It is being organised as part of the framework of ‘Southern Neighbourhood Activities’ under the ‘Platforma Strategic Partnership’ with the European Commission. The training will be free of charge for participants, but the number of places will be limited due to the format of the event. Given the focus of the training, special attention will be given to participants from Tunisia and Morocco, but it will be open to participants from the rest of the Mediterranean and to representatives of Platforma and other partner networks. To find out more information about what the training will involve and how to take part, and to read an introduction to the training manual, click here.